Night Games tells the story of forty-something Israelis. It is the first Israeli novel to focus on Israeli "Baby Boomers"; this is the generation of sons and daughters of new immigrants who confront their fragile identity with nostalgia, occasional regret and mostly with painful sobriety. They are forced to face themselves in the mirror and ask, "Where do we go from here?" On the eve of Israel's Independence Day in 1987, a few months before the outbreak of the Arab uprising in the West Bank, several old friends (representing a cross-section of Israeli society) gather for a scavenger hunt. Ten riddles are concealed in various historical sites around the city of Haifa in northern Israel, where Arabs and Jews have lived in fragile co-existence for many years. The group draw lots and break up into teams. Each team consists of a man and woman who are not partners in real life. So the group embark on a dangerous night of games, risking their safe and solid friendships. Enthusiasm abounds as the players look forward to reverting to their carefree youth. But things don't go quite according to plan. On the way, they encounter other people, notably Arabs who share the same land and attempt to impart a new meaning to the term "patriotism." Personal conflicts and marital struggles are exposed during the long night; forbidden love and vengeance, disappointments and shattered dreams lie at the heart of the novel. The emotional crossroads which the group reach reflects that of a society struggling to achieve a normal existence, desperately endeavoring to fulfil a national dream after four decades of intermittent wars. 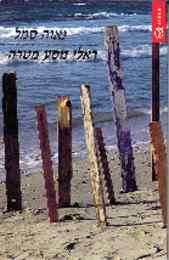 Semel writes with great talent and impressive narrative ability... She has succeeded in creating an Israeli microcosm. You cannot for one moment remain indifferent. 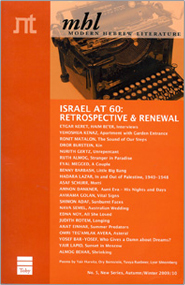 A fascinating document about the Israeli society. A fascinating voyage following memories and associations.